Founded in 1916, The Optical Society (OSA) is the leading professional association in optics and photonics. 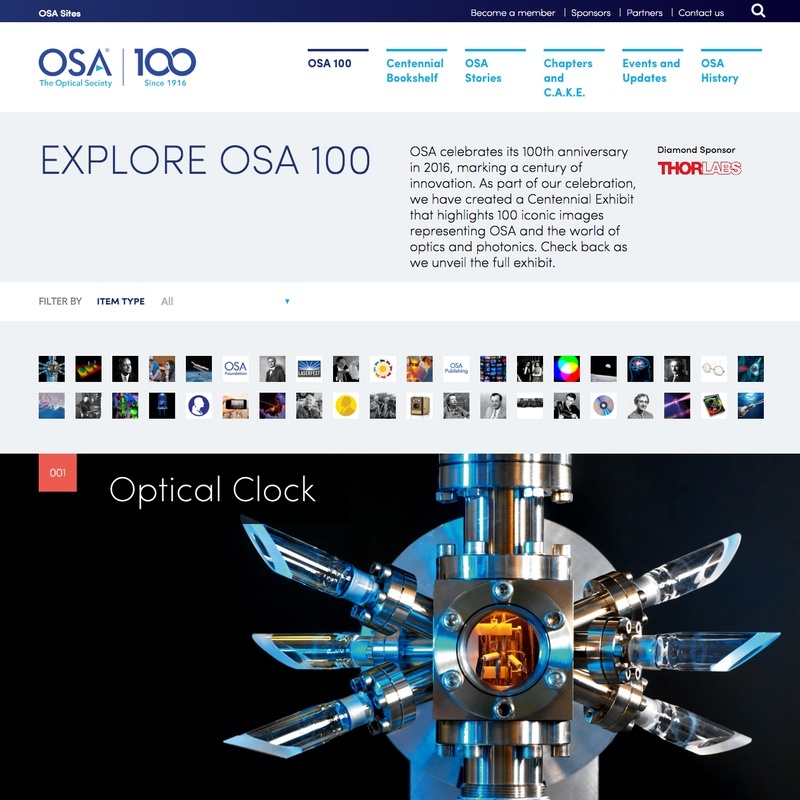 Through world-renowned publications, meetings, and membership programs, OSA provides quality information and inspiring interactions that power achievements in the science of light. As the Optical Society celebrates a century of innovation this year, C&G Partners is excited to work with OSA to develop a traveling exhibit and a microsite to commemorate the 100th year of the organization. Launching this month, the microsite will update throughout 2016 to reveal 100 iconic items representing the world of optics and photonics, as well as insights into the organization’s history, upcoming events and more. Check out the OSA Centennial microsite as it updates throughout the year.